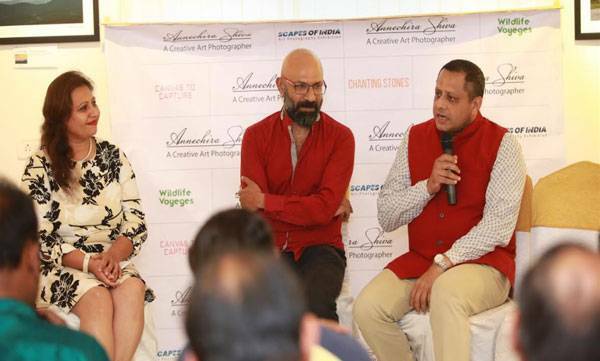 Award winning Ace Photographer, Ad Film maker and a Wildlife Conservationist Annechira Shiva popularly known as Shiv Gandhi, inaugurated the exhibit of his rare and prestigious collection of photographs at his maiden photo exhibition, ‘SCAPES OF INDIA’ at RêVES Art Gallery today. The exhibition will be available for patrons to visit till Feb 11, 2019, from 10am to 6pm. 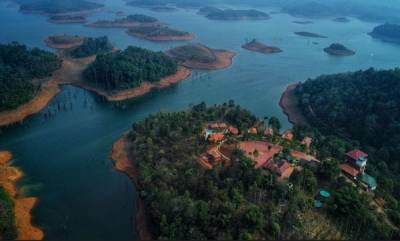 The pictures captured during his passionate photographic journey are a rare collection covering nature including mountains, rivers and some mesmerizing pictures of lesser known travel destinations. Travel and Nature Photography is not as easy as ‘just Click’, says Shiva. The sketch/framework of the image created in his mind, which then is slowly and carefully nurtured into series of thoughts linking it to its heritage, history, present and to its timeless beauty. These deep compositions in his mind create an imaginary picturesque of the scene. He transfers this imaginary picture into his Camera. This requires perfect lighting knowledge, combination of various angles, camera adjustments, and indeed lots of patience and perseverance. His photography brings about a stronger emphasis on nature’s aesthetic value as he gives life to the images utilizing nature’s lights, communicating to us the mysterious, awe-inspiring hidden wonders and facts of the nature. The collection at ‘SCAPES OF INDIA’ will be available for patrons in 3 sizes -12x18, 16x24, 20x30 inch sizes.